Stereo Total and Kill Rock Stars say Baby Ouh! 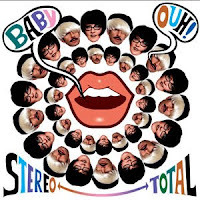 Check out to the left for the cover art for Stereo Total's upcoming album, Baby Ouh! The new record from the duo comes out on May 4 via Kill Rock Stars. Baby Ouh! is the follow up to 2007's Paris/Berlin, and it's super exciting to hear that the band are still making garage electronic rock for after all these many years (since the mid 90s!). 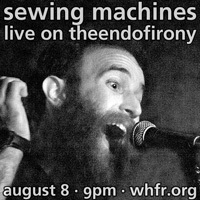 We're hoping for more details soon (especially possible tour dates, considering how amazing the band performed at The Fillmore New York at Irving Plaza last year)!